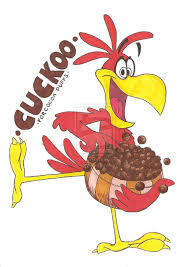 If they had done just a modicum of advance work, they would have discovered that while Kookogey possesses limited political experience, he does possesses the very characteristics that critics are now trying to unfairly apply to the Senator himself: nutty, hot-headed, crazy, etc.And now “The Kook” has taken it a step further. He recently began a series of emails to GOP political types around the state, highlighting what he believes to be some sort of ideological deficiency in Gov. Scott Walker. Walker, who is consistently one of the top 2 or 3 candidates in the polls appears to have made an impression (or is it an obsession?) with Kookogey, to the point that now Kookogey has been caught distributing stuff that turns out not to be true. A few days ago, Kookogey excitedly mass-emailed a link (See below and a hat-tip to a loyal RTP tipster from Cookeville who sent it our way) to an article implying that Walker was somehow soft on immigration. The article cited a New York Times story (Really? The New York Times?) about an alleged personal phone call between a Heritage Foundation employee who said he had had a conversation with Walker in which Walker said he was not a “nativist” on immigration. We-e-e-l-l-l, it turns out there was not any statement of the sort by Walker and that conversation with the Heritage employee and Walker never even happened and the employee had to publicly take it all back — leaving the hyperventilating, bloviating Kookogey twisting in the wind. Apparently, The Kook will believe anything as long as it smears one of his candidate’s opponents, especially if it comes from that monument of unbiased, fair, pro-Republican institution called the New York Times.